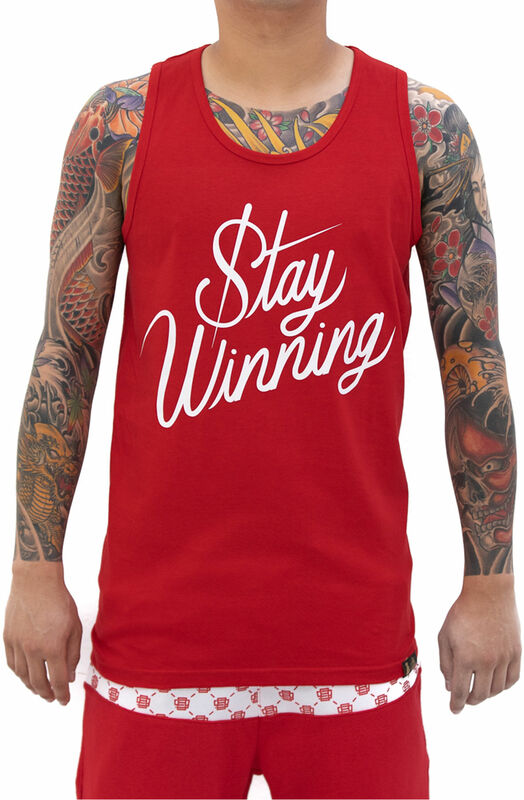 Description: Red tank top with original Stay Winning Script in white on front; solid back Fabric: 5.5 oz. 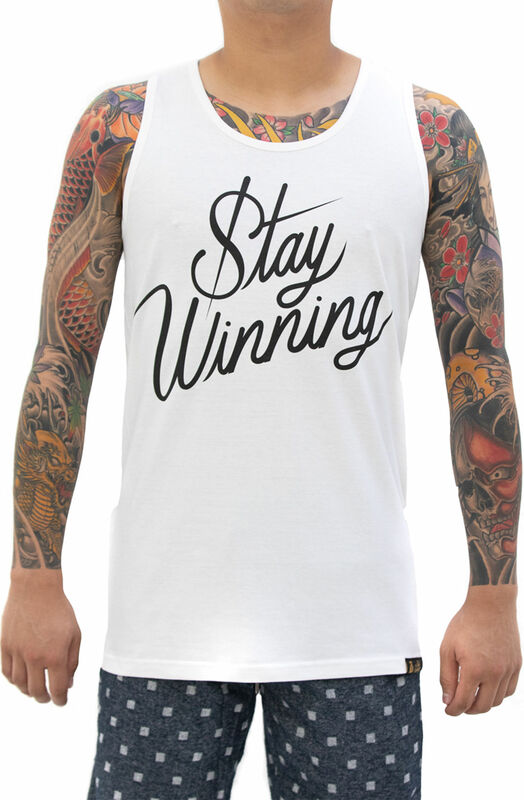 100% Combed Ring-Spun Cotton; Soft-Washed. 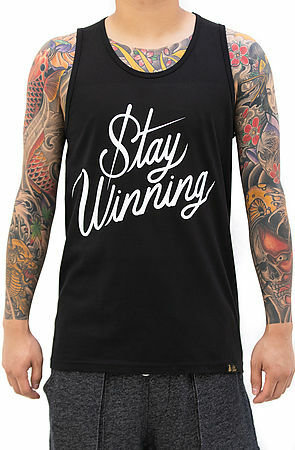 Description: White tank top with original Stay Winning Script in black on front; solid back Fabric: 5.5 oz. 100% Combed Ring-Spun Cotton; Soft-Washed. 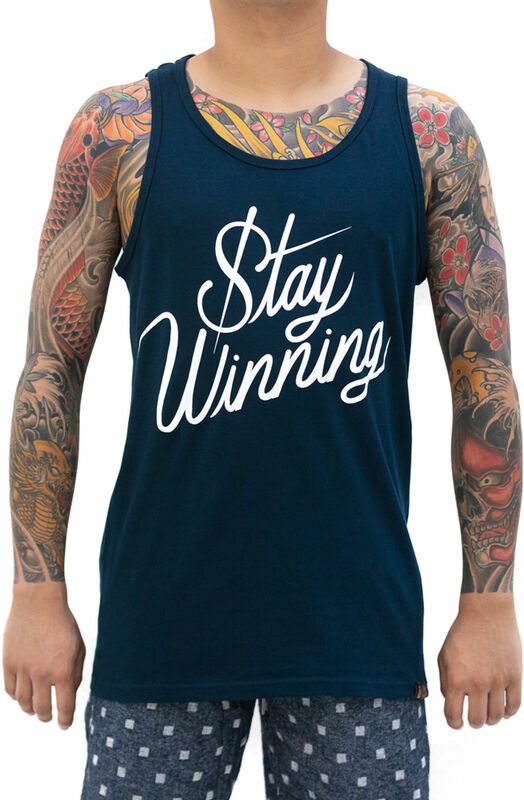 Description: Navy tank top with original Stay Winning Script in white on front; solid back Fabric: 5.5 oz. 100% Combed Ring-Spun Cotton; Soft-Washed.